Two US acting unions have criticised movie website IMDb over its policy of giving actor's ages and dates of birth. The Screen Actors Guild (SAG) and the American Federation of Television and Radio Artists (AFTRA) said the site was "facilitating age discrimination". They claim actors are losing work because of details published on site. It comes after a US actress sued Amazon, which owns the Internet Movie Database, for more than $1m (£621,000) after it posted her age. The unnamed actress claims the website misused her legal date of birth after she signed up to the IMDbPro service in 2008. She believes revealing her age could lose her acting opportunities. In a joint statement, the unions said: "An actor's actual age is irrelevant to casting. What matters is the age range that an actor can portray. "For the entire history of professional acting, this has been true but that reality has been upended by the development of IMDb as an industry standard used in casting offices across America." 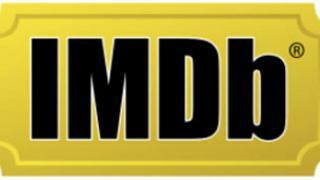 The unions said IMDb publishes the dates of birth of thousands of actors "without their consent, most of them not celebrities but rank-and-file actors whose names are unknown to the general public". "When their actual ages then become known to casting personnel, the 10+ year age range that many of them can portray suddenly shrinks, and so do their opportunities to work," they added. SAG and AFTRA said IMDb had the power to "remove the temptation for employers to engage in age discrimination", saying the site had to "step up and take responsibility for the harm it has caused". A spokesman for Equity, the UK's acting union, said it agreed with their US counterparts. "The important element in this case is the playing range of an actor, not their actual age. "It is a well-established practice in casting that actors provide their playing age and Equity supports SAG and AFTRA's view that IMDb's use of a performer's actual age could lead to age discrimination." A spokesperson for Amazon was not available for comment.